Veteran astronaut Paul J. Weitz has died at the age of 85. 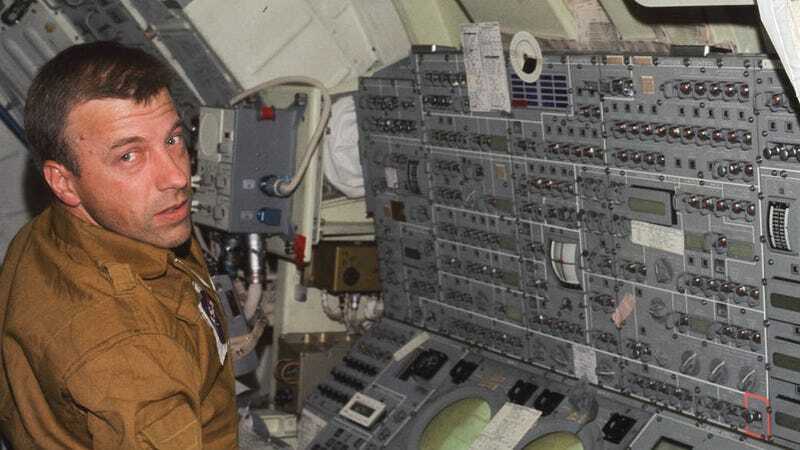 Among his many accomplishments, Weitz served as a pilot aboard the Skylab space station, commanded the first flight of the Space Shuttle Challenger, and logged nearly 800 total hours in space. Weitz died on Monday, October 23 in Flagstaff, Arizona. The retired astronaut had been diagnosed with myelodysplastic syndrome, a type of blood cancer. He will be remembered as one of the most accomplished astronauts to slip on a spacesuit, having contributed to the seminal Skylab-2 mission, the Space Shuttle program, and as a NASA administrator. He was born on July 25, 1932 in Pennsylvania where he also attended university. He served for a year aboard a US destroyer before attending flight training, earning his pilot’s license in September 1956. Weitz served in various naval squadrons, amassing more than 7,700 hours flying time, of which 6,400 hours were logged in jet aircraft. In April 1966, he was selected to join NASA as an astronaut. Weitz was a pilot on the crew of Skylab-2 (SL-2)—the very first Skylab mission to have an active crew. From May 25 to June 22, 1973, the crew established what was then a world record for a single mission, logging 672 hours and 49 minutes aboard the pioneering space station (doubling the previous record). The astronauts eventually launched on 25 May and approached Skylab in their Apollo command module. Positioning their spacecraft near a jammed solar panel on Skylab, Weitz opened the Apollo module’s airlock and extended a 3m (10ft)-long pole designed to free the component. He tugged hard at the solar panel, while Joe Kerwin held him by the ankles. It was clear that the array wasn’t going to budge, so the astronauts went back inside the command module. Not only did this initial attempt fail, the effort consumed a significant amount of Skylab’s maneuvering fuel to keep it steady. Two weeks later, another spacewalk proved successful. Astronauts Charles Conrad and Joseph Kerwin managed to deploy the solar panel structure, but the sudden movement caused the astronauts to be flung from Skylab into space—saved only by their tethers. In total, Weitz logged two hours and 11 minutes of spacewalk time during the mission. As an interesting side note, it’s very likely that, had NASA extended the Apollo Missions, Weitz would have been sent to the Moon, possibly on Apollo 20 (which never happened). Ten years after Skylab, and at the age of 51, Weitz was designated the commander of STS-6—the maiden voyage of the Space Shuttle Challenger, which launched from Kennedy Space Center, Florida, on April 4, 1983. During the mission, Weitz’s crew performed various experiments, recorded lightning in the Earth’s atmosphere, deployed a satellite, and tested equipment in preparation for future spacewalks. The mission lasted 120 hours, bringing Weitz’s total time in space time to 793 hours. Tragically, the Challenger was destroyed during liftoff on January 28, 1986. After calling it quits as an astronaut, Weitz served as Deputy Director of the Johnson Space Center, finally retiring from NASA service in May 1994.